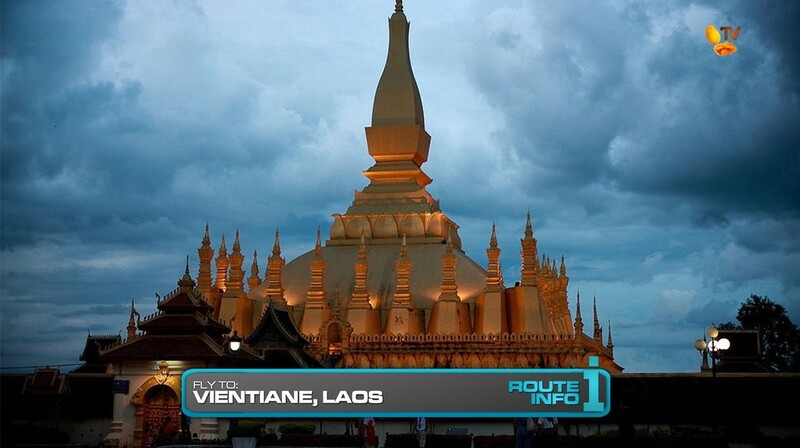 The next Leg begins immediately as teams are informed they must now fly to Vientiane, Laos. 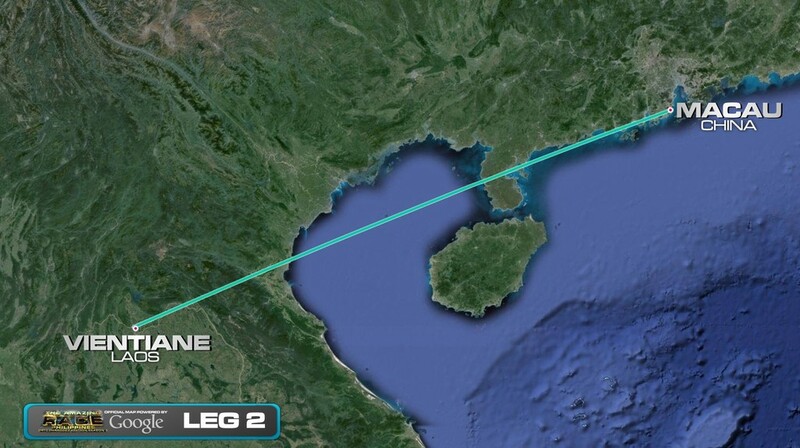 To get there, teams must first take the ferry to Hong Kong. 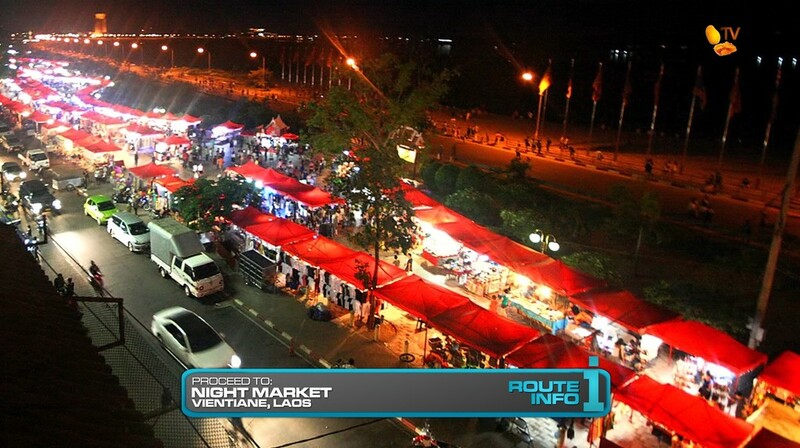 It’ll be up to the teams how and where they get plane tickets to Vientiane. Most flights will connect through Hanoi, Bangkok or Phnom Penh and get them into Vientiane after 5pm. 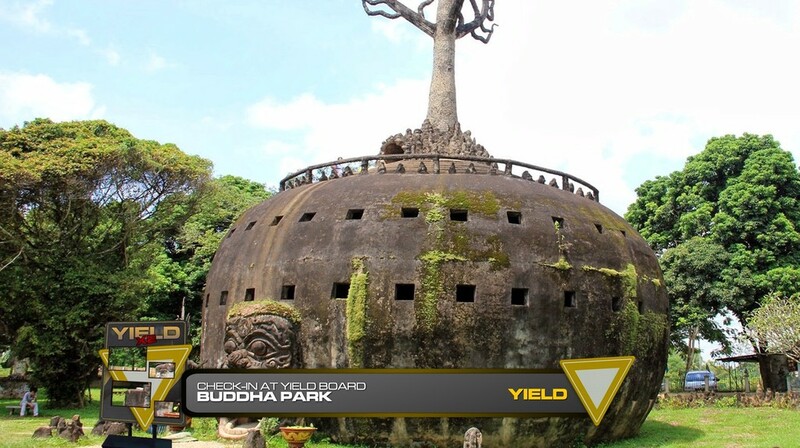 Once in Vientiane, teams must immediately make their way to Buddha Park where they will find… that’s it is closed for the day. Hours of Operation are 8am to 4pm. So teams will have to camp out until tomorrow morning, meaning all teams will be able to catch up. And in the morning when teams are allowed into the park, they will find the Road Block: Who is feeling enlightened? For this Road Block, teams must count the number of Buddha statues in the park. They must be careful not to include other images of Hindu deities as well as demons and animals. If they give the monk the correct answer, they will receive their next clue. WARNING! The person completing the Road Block is NOT allowed to talk to any other teams while performing the task. If they violate the rule, the team will be issued an immediate 1-hour penalty and will not be able to resume the task until after that hour. After completing the Road Block, teams must check-in at the first Yield of the Race, located in the park. Teams will then face the Detour: Into a Circle or Into a Box. 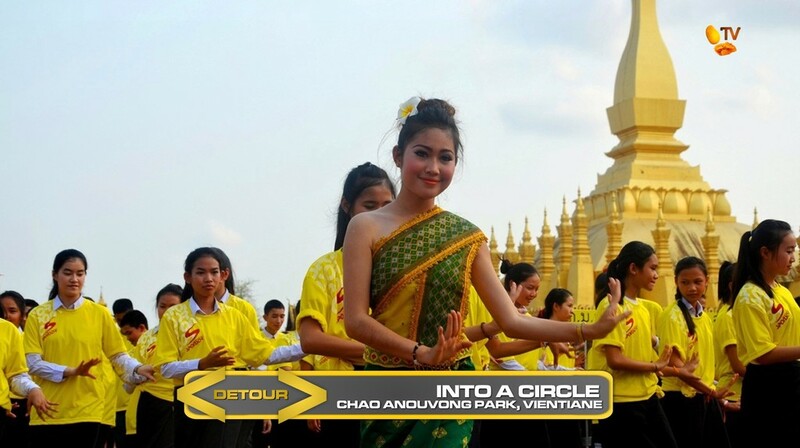 In Into a Circle, teams must make their way to Chao Anouvong Park where they will learn and perform the Lam Vong Dance. 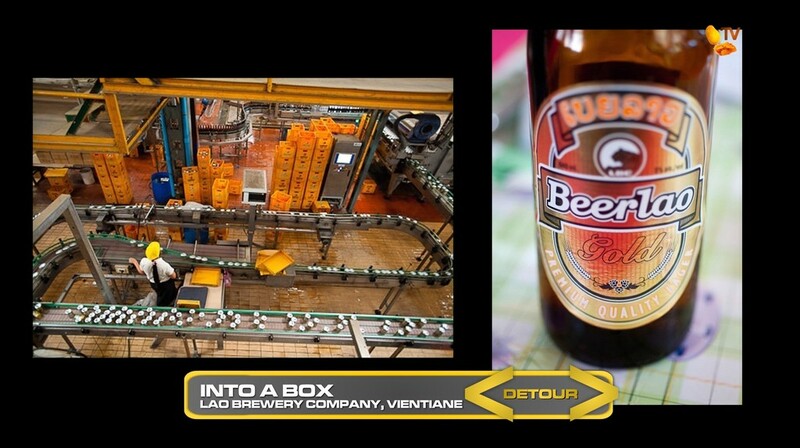 In Into a Box, teams will head to the Lao Brewery Company. After choosing a unique 3-digit number, they must find 5 crates with those numbers which they will then fill with bottles of the local Beerlao. They will then deliver the crates to the beer stall at the Night Market to receive their next clue. After the Detour, teams are told to find King Chao Anouvong. 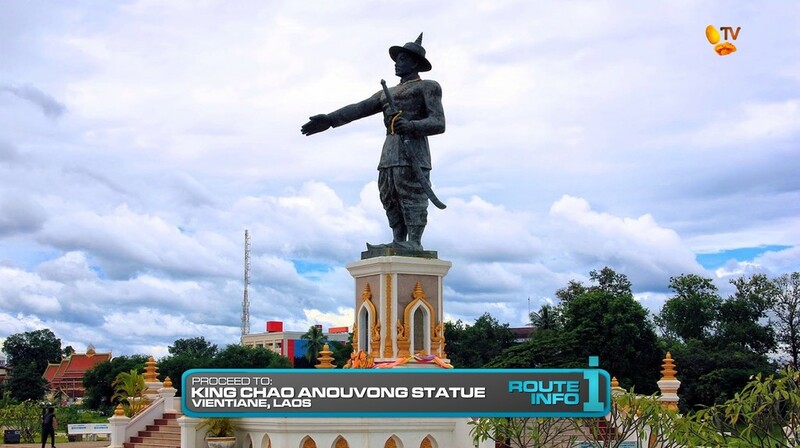 Teams will be able find the next clue on foot at the statue of King Chao Anouvong. 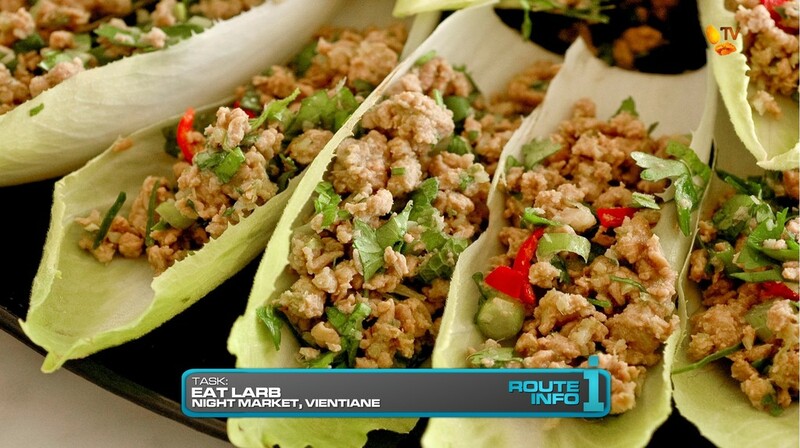 The next clue directs teams to find a flagged food cart at the Night Market where each team member must eat a serving of larb to receive their next clue. 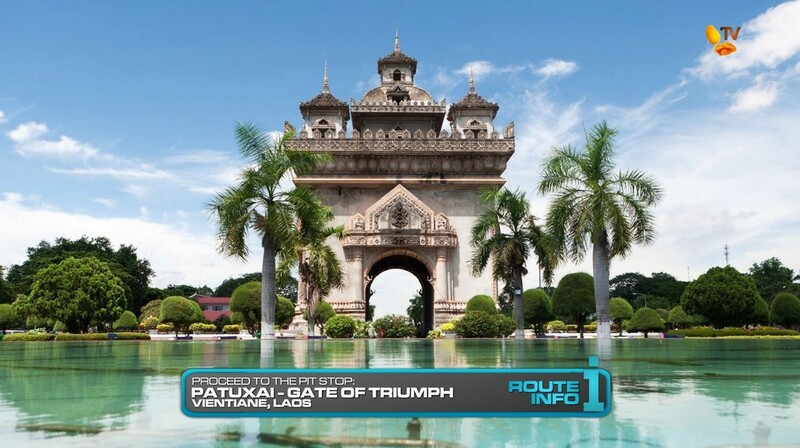 And that final clue points teams to the Pit Stop, Patuxai, also known as the Gate of Triumph or Victory Gate. 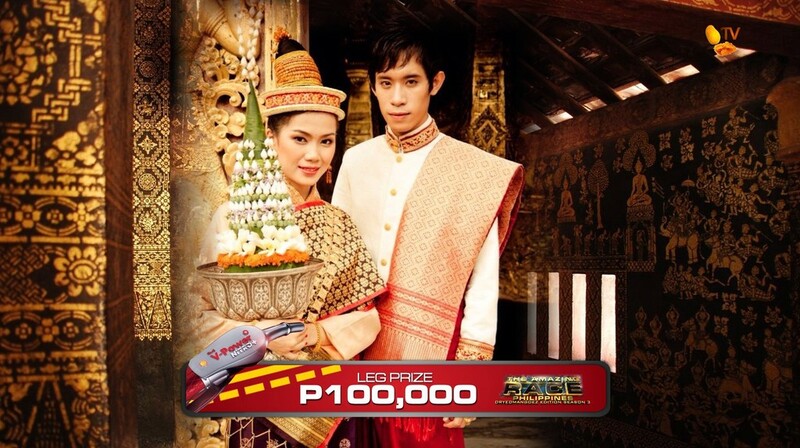 The first team to arrive here will win P100,000 courtesy of Shell V-Power Nitro+ AND a case of Beerlao which they can enjoy after the Race. Continuing the TARPHDM tradition of visiting at least one new-to-TAR country every season, teams get to race in Laos for the first time. This is another location that should probably yield much better tasks if one were to actually set foot in the country and personally scout locations. 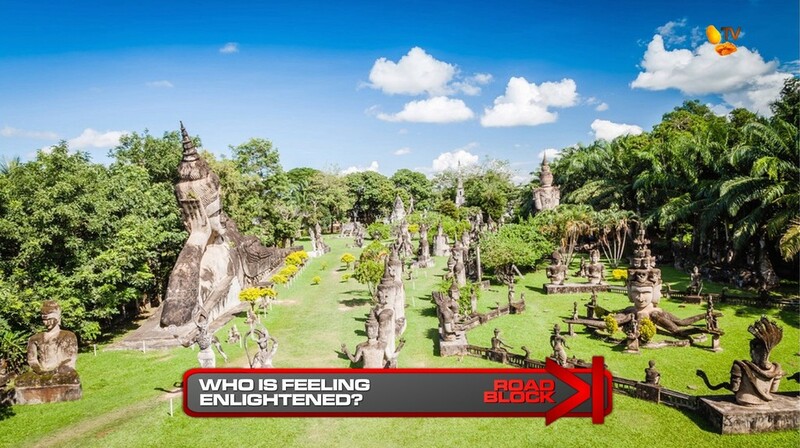 The Buddha Park Road Block is a typical TAR mindfrak that could really put teams under a lot of pressure. Especially since they’ll be here in the middle of the day and hopefully under the hot sun. (*evillaugh*) I also must stipulate that THERE WILL BE NO HELPING EACH OTHER at the task. If this were a TARPH2 task, teams would’ve probably just told each other the answer without even doing any work for themselves. And that is just horrible. The Detour is simple and straightforward enough. 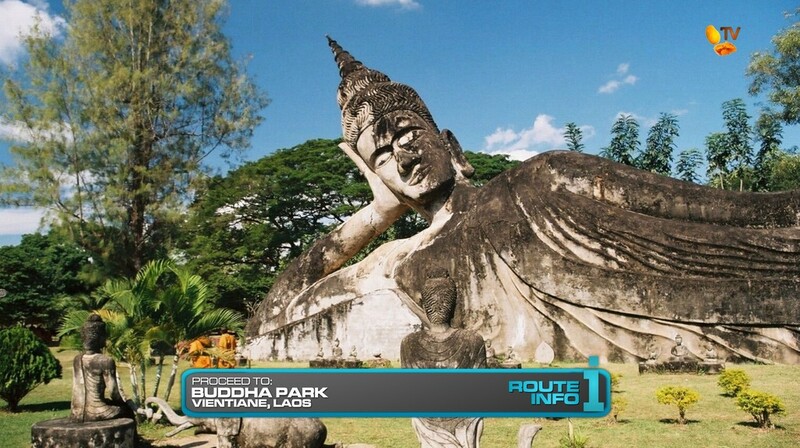 The brewery company is closer to Buddha Park, but both Detours will have teams end up by the Mekong River either way. Distance and time spent on each task should balance this Detour. The Route Marker at the statue and the eating task before the Pit Stop are just to fill the Leg. But again, I’m sure there are plenty of other things to do in Laos if ever TAR gets a chance to go there.